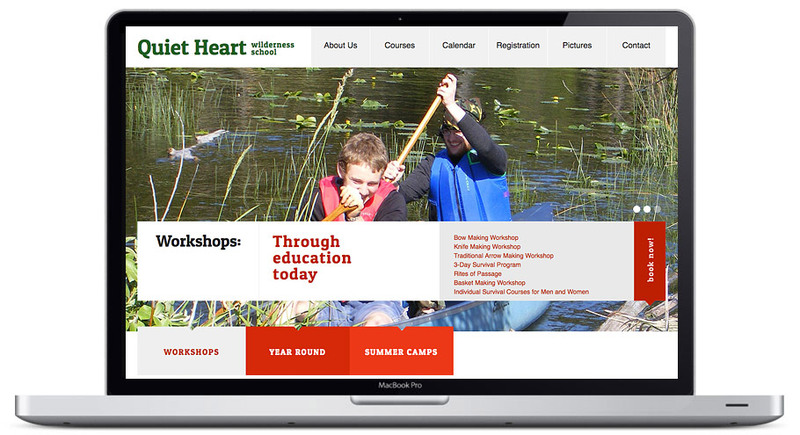 Established in 1997, Quiet Heart Wilderness School is a wilderness education program designed to enhance students understanding of the natural world, and instill in them a sense of stewardship toward their planet and its creatures. 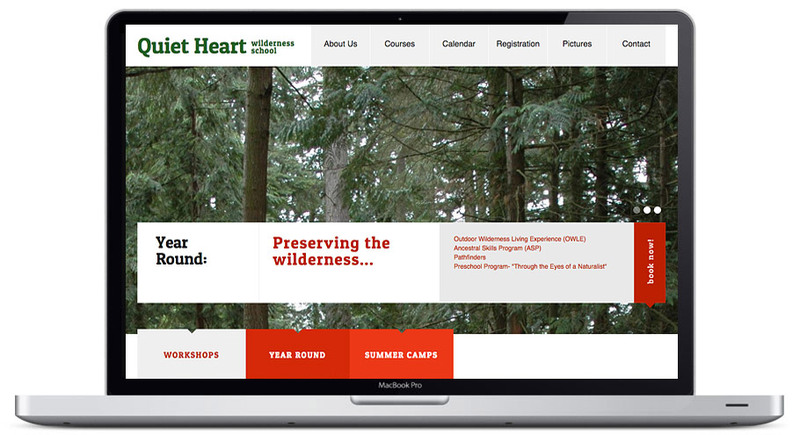 Quiet Heart Wilderness School approached Hang Wire with the goal of a user friendly website for their wilderness school courses and workshops. Hang Wire worked with Allan and Susan to develop a website design that incorporates an interactive calendar detailing all the courses and workshops they offer throughout the year. 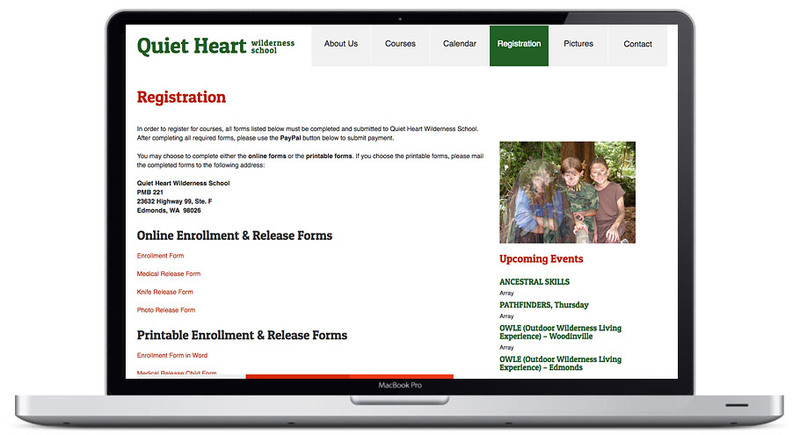 Incorporating online registration, medical release, and other forms was critical to making the site user friendly while also streamlining the enrollment process for Allan and Susan.